Building on from the 2015 and 2016 competitions, NAILA introduced two new Award Categories: the Junior Executive Award and the Teachers Award. In 2017, our team received a record 133 high-quality video entries in Indonesian. The theme of the 2017 competition is ‘Asal Usul Kita/Saya’meaning ‘Out/My Origin(s).’Participants from across Australia and Indonesia were given the opportunity to present on a broad range of issues related to this year’s theme. 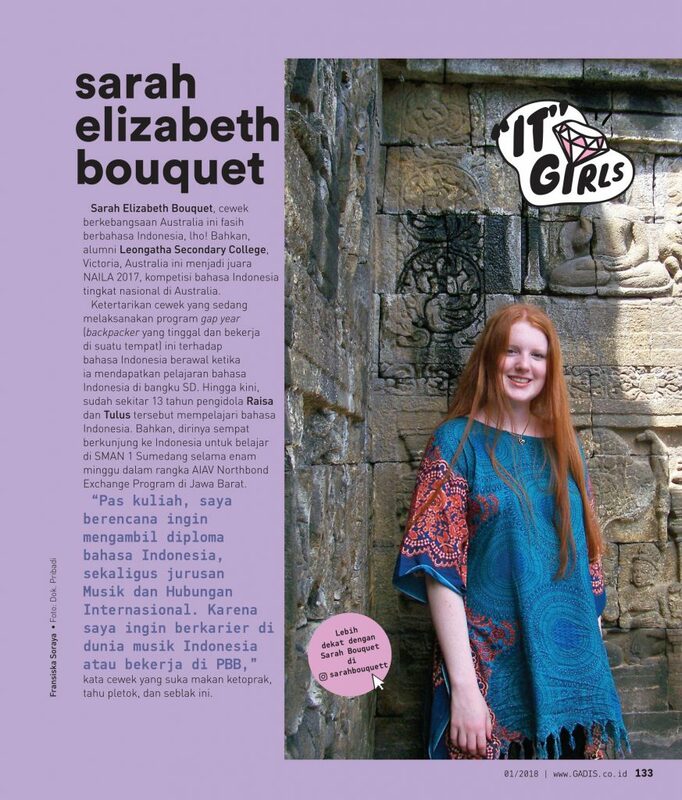 It was fantastic to hear Primary School students in remote Australia present about their ancestral origins, tertiary students speak about the origins of their interests in studying Bahasa Indonesia, executive-level speakers speak about origins of the bilateral relationship, and native Indonesian speakers express their thoughts on Indonesia’s many languages. 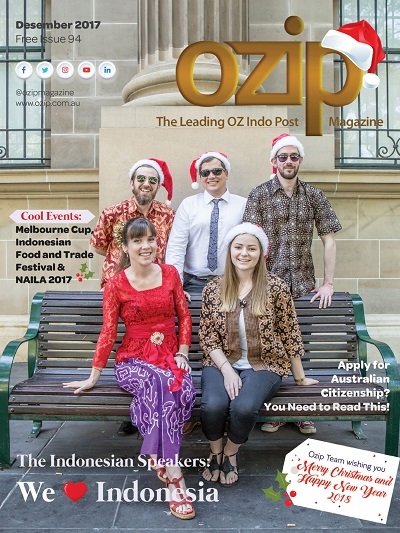 NAILA celebrated its third year with an Awards Ceremony and networking weekend in Melbourne on 10–12 November 2017. The Awards Evening, hosted by the Australia Indonesia Business Council – Victoria, was attended by over 100 guests including Ibu Dewi Savitri Wahab (Indonesian Consul General, Melbourne), Mr. Joel Backwell (Executive Director – International Education at the Department of Education and Training, Victoria) and Mr. John Cheong Holdaway (NAILA 2017 Judge and NAILA 2015 Executive Awardee). Richard Mathews, Australian Consul General to Makassar, delivered his congratulations to all the participants of NAILA 2017 via video message. The Hon Bill Johnston MLA, Minister for Asian Engagement, Western Australia also congratulated the participants and commented on the importance of Indonesian language study. The 2017 Awardees delivered their winning entries in front of their families, friends and members of the Australia-Indonesia community. Over the Awards Weekend, the awardees and their families explored Melbourne city, enjoyed an Indonesian lunch, participated in a gamelan workshop hosted by the Melbourne Community Gamelan, and had a private dinner. During the Weekend awardees had the opportunity to meet leaders in the Australia-Indonesia relationship, connect with each other and members of the NAILA community, and form lasting friendships. NAILA is incredibly grateful to our 2017 VIP judges: Dr. Angie Bexley, Mr. Kevin Evans, Ms. Sekar Sari, Mr. John Cheong-Holdaway and Dr. Lily Yulianti Farid. 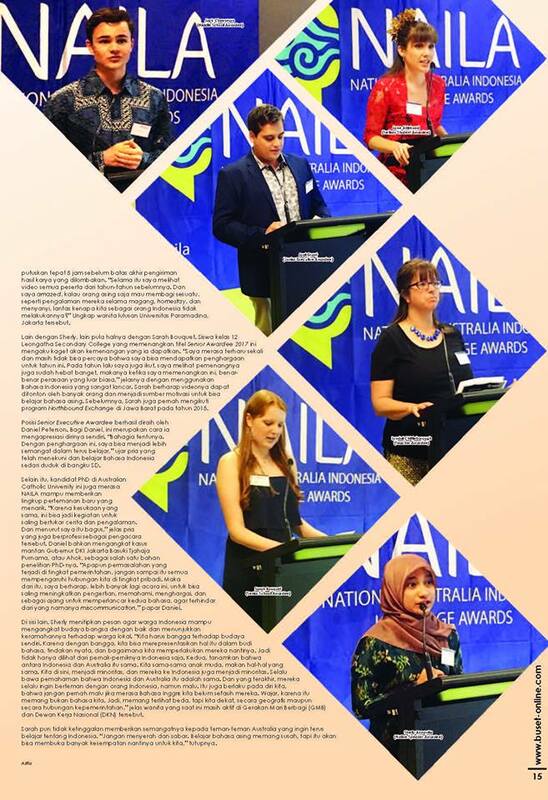 NAILA is driven by a dynamic and talented group of young Australian and Indonesian volunteers who are dedicated to improving the bilateral relationship. NAILA is incredibly grateful to our partners for their support and we are extremely proud of every applicant in our 2017 competition. Without them, NAILA would not be possible. NAILA 2017 was covered widely by leading media outlets in both countries, from our media partners SBS Radio, Radio Kita, Love and Hate Radio, OZIP Magazine and Buset Magazine to ABC, BBC, Metro TV, Detik, GADIS and Femina. Visit the website:https://2017.naila.org.au/ and follow NAILA on Facebook, Twitter, Instagram and YouTube! 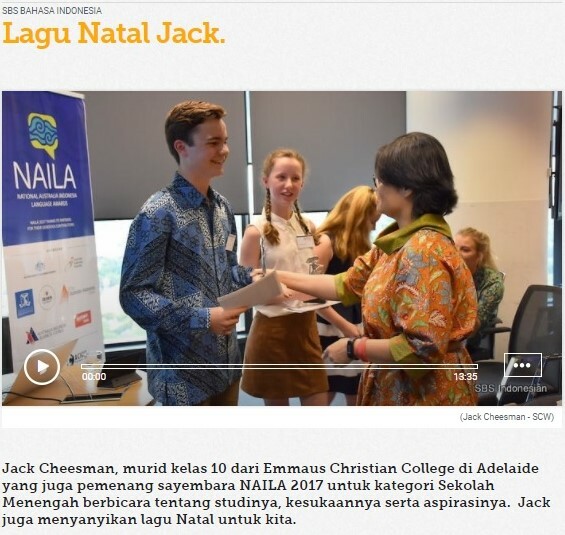 The National Australia Indonesia Language Awards (or NAILA) is an initiative of the Australia-Indonesia Youth Association (AIYA) that aims to reward and foster the development of Indonesian language learning in Australia. It is the first language competition of its kind bringing together speakers from all different age groups and backgrounds to enable them to learn, network and mentor one another. NAILA made me realise that Bahasa Indonesia is not an outdated language. 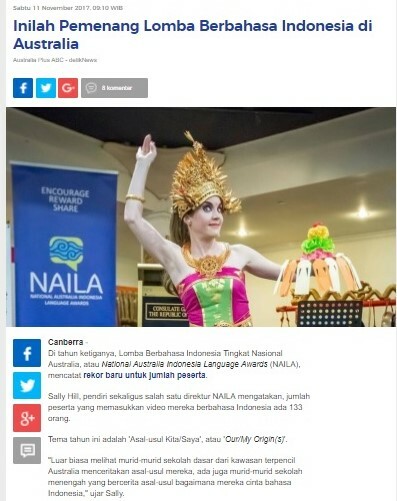 I was so proud and happy to see there are a lot of Australians learning the Indonesian language. (NAILA) most certainly reassured me of my interest in the country, its people and future careers avenues. The networking opportunities were also a major plus.